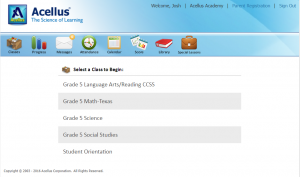 Power Homeschool delivers courses to students through the Acellus Learning System. Each student is assigned an Acellus ID and password. After signing in, each student may select a class from their list and get started. The system will take them right to their current position in the course they have been enrolled in, and will automatically mark their attendance for the class. Students can see their progress and score for each class. Students access courses via the web, allowing them to work wherever they have Internet access. Each student is provided with a user name and password. From the dashboard, the student may select a class to work in. Once the student selects a class, they are immediately taken to their current position within the course. 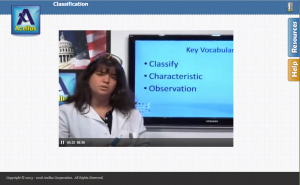 Each lesson begins with a short video lesson taught by a teacher who is an expert in their field. This video-based instruction allows students to learn independently, which can greatly leverage the time of a parent. 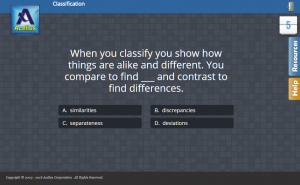 Immediately after a video lesson, students receive practice problems to apply the concept presented in the lesson. 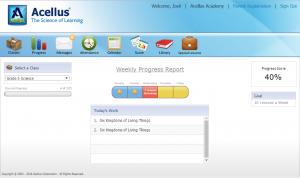 Acellus requires students to master the concept before moving to the next lesson. For students who did not grasp the concept after watching the initial video lesson, additional more in-depth videos are available for each lesson. At the conclusion of each unit, students take a review which is followed by an exam. During the review, students have the opportunity to review videos from lessons within the unit. Parents may specify weekly goals to help students stay on-pace with completing each course. Students may review their progress toward meeting these goals within the student interface.